Reflex (fomesafen) is a widely used soil herbicide (PPO-inhibitor) in cotton and soybean with excellent pigweed control efficacy. Despite the occurrence of PPO-inhibitor resistance in pigweed in several southern states, Reflex is still recommended by many extension weed scientists, extension agents and crop consultants for preemergence pigweed control due to long soil persistence and effective control at low rates. 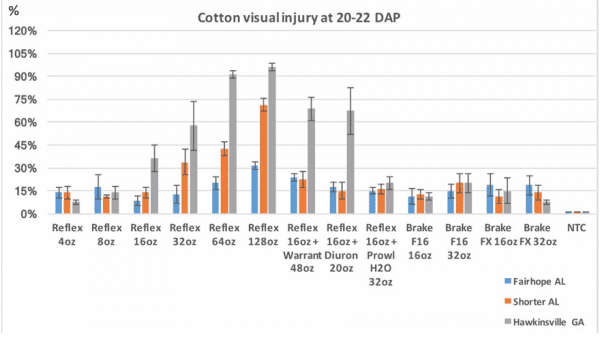 However, Reflex injury on cotton has been a long-time concern and is difficult to predict. Meanwhile, fluridone (Brake), developed by SePro, has obtained registration in many cotton-growing states. 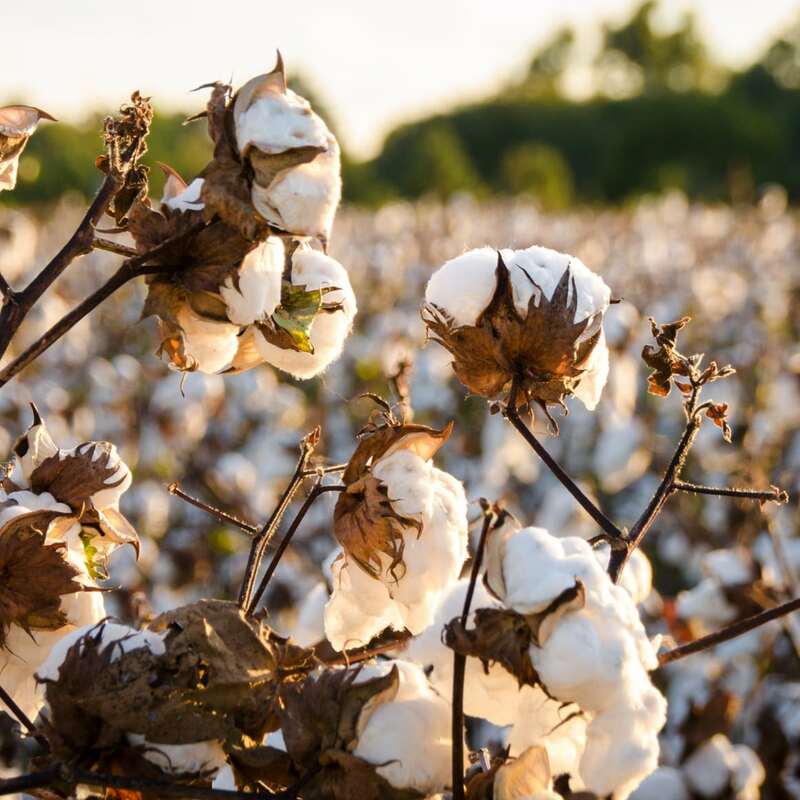 This provides an alternative mode-of-action to control herbicide resistant pigweed and have shown promising results in Alabama trial, but the injury potential of fluridone on cotton requires further evaluation due to lack of data. 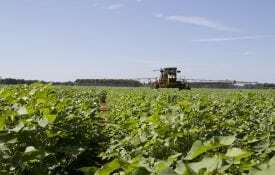 Field trials were conducted at three locations (Shorter, AL, Fairhope, AL, and Hawkinsville, GA) in 2016 to evaluate cotton tolerance to fomesafen and fluridone-based treatments. Experimental design was RCBD with 4 replications. Reflex was sprayed at 4, 8, 16, 32, 64 and 128 oz/A (16 oz/A is the 1X rate) within 3 days after planting. Cotton stand count (figure 1) was not significantly reduced by any herbicide treatment at Shorter and Fairhope at 20-26 DAP. But this was not the case at Hawkinsville, where 4X and 8X rates of Reflex (64 and 128 oz/A), 16 oz/A Reflex + 48 oz/A Warrant and 16 oz/A Reflex + 20 oz/A Direx significantly reduced cotton stand as compared to non-treated check (NTC). Also, these four treatments significantly reduced cotton seedling height at 20-26 DAP with most of height reductions observed at Hawkinsville because it has most sandy soil (>90% sand) among all three locations. Cotton injury (figure 2) varied from less than 10% to over 90%, with 100% being completely dead. Reflex at 2X, 4X and 8X rates produced more injury than other treatments. 16 oz/A Reflex + 48 oz/A Warrant and 16 oz/A Reflex + 20 oz/A Direx also caused unacceptable injury (> 30%) at Hawkinsville. At the end of the season, only 4X and 8X rates of Reflex reduced over 50% of cotton yield at Hawkinsville as compared to NTC, while 8X rate fomesafen reduced 40% yield at Shorter (figure 3). Other treatments did not significantly decrease cotton yield. These results suggested that more cotton injury, stand count, height and yield reduction were observed in Hawkinsville, where soil sand fraction was the highest among all locations (> 90% sand). 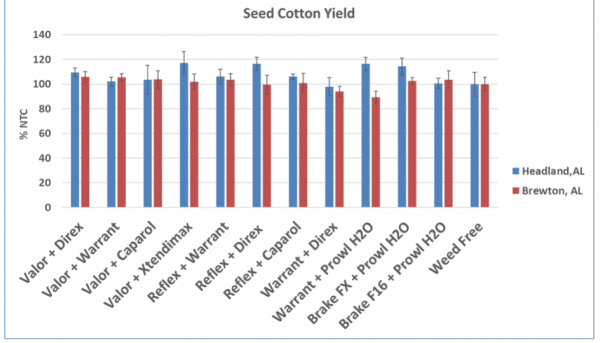 Over the label rates of Reflex have the tendency to cause greater negative impact on cotton growth and yield, but 1X label rate of Reflex alone (16 oz/A) did not incur any negative effect on cotton growth and yield throughout this study. Combining 1X rate Reflex with full rate of Warrant or Direx significantly increased cotton injury only on very sandy soil (Hawkinsville GA). Meanwhile, fluridone-based treatments (Brake FX = Fluridone + Cotoran, Brake F16 = Reflex + Fluridone) at full label rates did not show any negative effect on cotton stand, height and yield at any location. 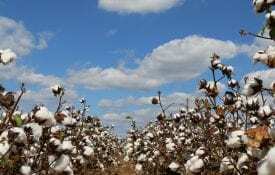 The results from the 2016 study are consistent with a 2013 GA study, in which only Reflex sprayed at 128 oz/A at Tifton reduced 39% of cotton yield. No significant yield loss was found with this rate and lower rates at Plains and Watkinsville, GA in that year. In 2017, we evaluated the tolerance of four cotton variety (DP 1538, DP1646, PHY444 and PHY490) to Reflex and Brake based treatments at Headland, AL, Shorter, AL, and Brewton, AL. Reflex + Warrant, Reflex + Direx, Reflex + Caparol and Brake F16 (Reflex + Fluridone) was sprayed at both 1X and 2X label rate (1X = 1 pt/A for Reflex, 3.2 pt/A for Warrant, 1.6 pt/A for Direx , 4 pt/A for Caparol and 1pt/A for Brake F16). Experiment design was RCBD with 4 repetitions. All treatments were sprayed immediately after planting in the same day. Some minor cotton stunting was observed but no yield loss caused by any rate or treatment at the end of season. In 2017, we also evaluated 11 treatments containing Valor, Reflex and Brake when applied prior to cotton planting, at Headland and Brewton AL. 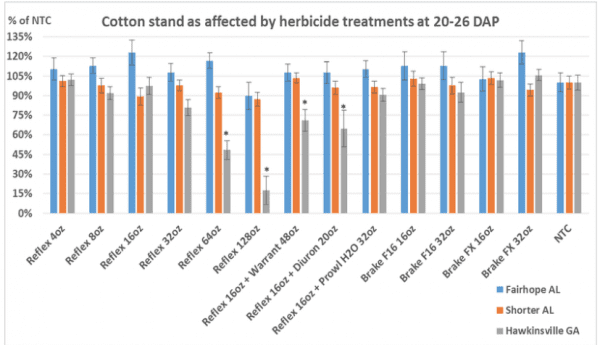 Treatments were applied either 3 weeks or 1 week before planting by backpack sprayers (see table below), and mechanically incorporated to 2-3 inch deep. Experiment design was RCBD with 4 reps. No herbicide was sprayed behind planter and first POST treatment of Roundup Powermax + Dual Magnum was made 21 days after planting. All plots including non-treated check were kept weed free during the season. 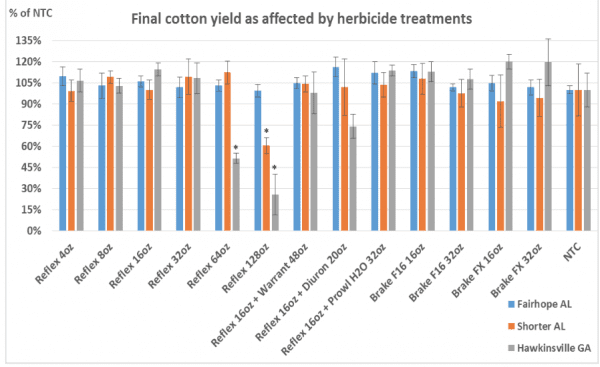 Results showed all treatments produced > 1000 lb/A cotton lint yield, with no significant yield reduction by any treatment when compared to weed free non-treated check (figure 4). Reflex and Brake may be applied up to a week prior to planting without causing negative impact on cotton growth. Reflex and Brake herbicides have shown good safety margin on dryland cotton at label rates. As a precaution, use reduced rates of Reflex (8-12 oz/A) alone or with other residual herbicides on sandy or sandy loam soil, in case heavy rainfall occurs before crop emergence. Use a tank mix (Reflex, Cotoran or Direx) with label rate of Brake herbicide (1 pt/A) to increase weed control spectrum and efficacy. Apply full label rate of Reflex on heavier soils can increase the injury potential on cotton seedlings and is not recommended. Tank mixes containing Reflex or Brake may be applied up to a week before planting, if they can be properly activated by rain or mechanically incorporated before planting when no rain after planting is forecasted. Reflex + Warrant, Reflex + Direx/Cotoran and Brake herbicides applied PRE- behind the planter have shown excellent pigweed control efficacy in 2015 and 2016 Alabama cotton trials. Considering many pigweed populations in Alabama are both Roundup and ALS resistant, timely applications of soil herbicides, overlapping residues, rotating modes of action, adoption of Liberty Link system (Liberty + Dual Magnum, Outlook or Warrant @ 18-21 days after planting), Xtend or Enlist system are critical factors to control resistant pigweed during the first 8-10 weeks of cotton growth. 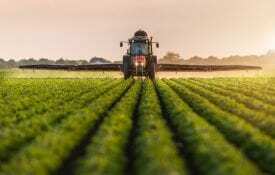 It is a great practice to tank mix residual herbicide such as Warrant, Dual Magnum, or Outlook with Liberty, dicamba, 2,4-D or Roundup in POST over the top applications to increase weed control length and suppress new weeds from germinating. Post-directed or layby applications (MSMA + Direx or Valor + Gramoxone if needed) will also provide effective pigweed control to prevent late season escapes that interfere harvesting. Always start with clean fields. Hand pull large female pigweed before harvesting cotton to prevent seeds from getting back to soil and replenishing the soil seed bank.